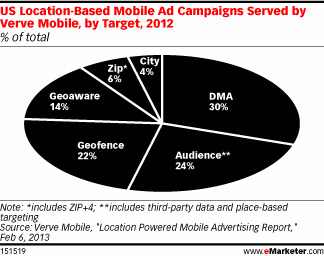 Advertisers have been excited by the prospect of incorporating location data to target users on the go. While mobile advertising is still a somewhat nascent format, it’s growing quickly, and a rising number of marketers are integrating more sophisticated data into their mobile campaigns. 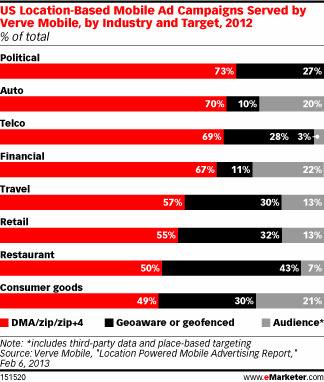 The percentage of campaigns using geofencing or geoaware targeting had more than doubled, from 17 per cent in 2011 to 36 per cent in 2012.